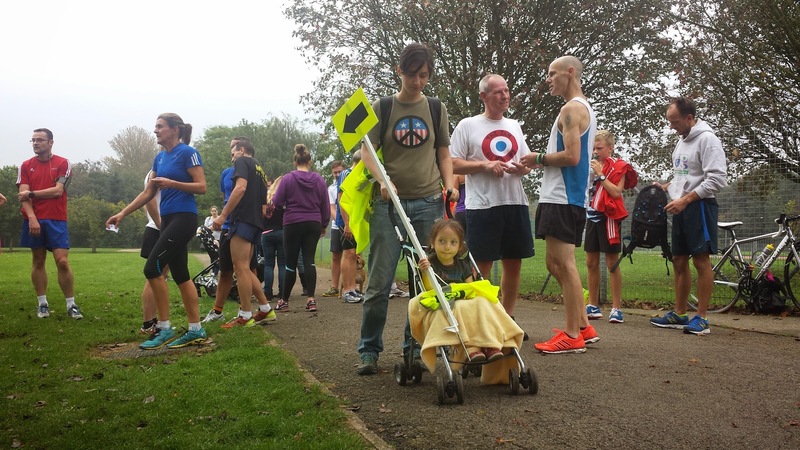 I can't believe we have had 9 Dartford parkruns already! 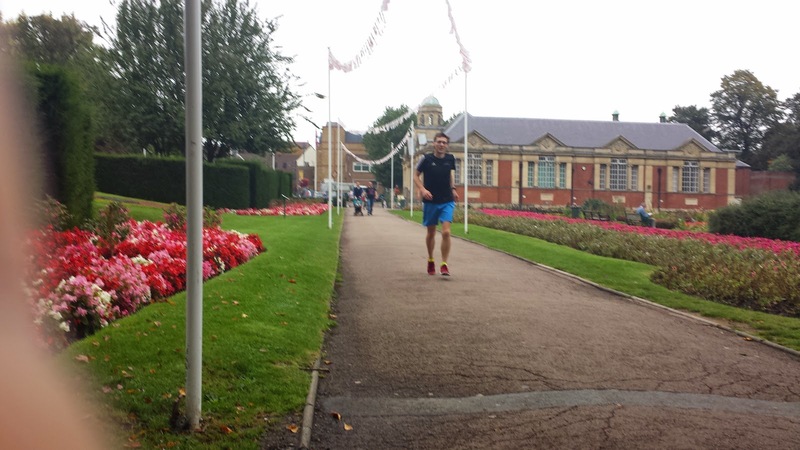 Interesting that if I had continued my weekly parkrun touring, I would have hit 90 different venues today. Also interesting is that at the moment I feel no real urge to resume the touring - I'm absolutely loving being part of this great community in Dartford. In fact I think I would really miss my new Saturday morning routine if I went elsewhere. After meeting Richey (ED) at 7.30am as always, we headed around the course to set it up. Richey had brought his SLGR-themed litter picking device with him but unlike the last few weeks there was no significant litter on the course that we had to (litter)pick up. It was also a relief to not have to hear and watch another pigeon fight (see event 8's blog post for details). We must be getting quite slick at setting the course up because once we had finished, we stood near the start/finish and wondered where everyone was - It was quite odd to have everything ready and no runners or volunteers around to chat to. However in true parkrun style, eventually people started to appear. My run was pretty interesting - Over the first 9 events I have quite often found myself running alongside Derren and Archie May (father and son, I think) and today was no different. We always seem to finish in a slightly different order but only a few seconds apart, so this week once the eventual first finisher had left us for dust, the three of us got down to work to fight out second, third and fourth places. It was quite hard work as the conditions were quite muggy. For the first 2 kilometers, I hung back in p4. Then towards the end of the first lap I moved ahead of Archie and into p3, and then as we turned onto Mick Jagger's leg I moved up into p2 - this lasted a minute or so until Derren took the place back. As we turned onto the grass and trail section I hung behind him until we emerged at the football fields. At this point I decided it was time to attempt to get back into p2, so pushed the pace up and moved back into second position. Once there I continued the stronger pace right through to the end of the run - I even managed to run my 5th kilometre a full 20 seconds faster than the 4th (to be fair the 4th km does have an incline in it, but I'm not usually that much quicker). It was definitely a good run for learning where and where not to push the pace on this course, so although I was a little slower than last week I was really happy with the way I ran. I swiftly moved onto a bit of barcode scanning once my run was over, where in-between chatting I managed to scan a couple of barcodes! I processed the results again this week, but this time almost with no help from Tessa (just the occasional nod to confirm that I had done things right). We managed to get the results through to parkrun HQ just before the parkrun systems had some issues. 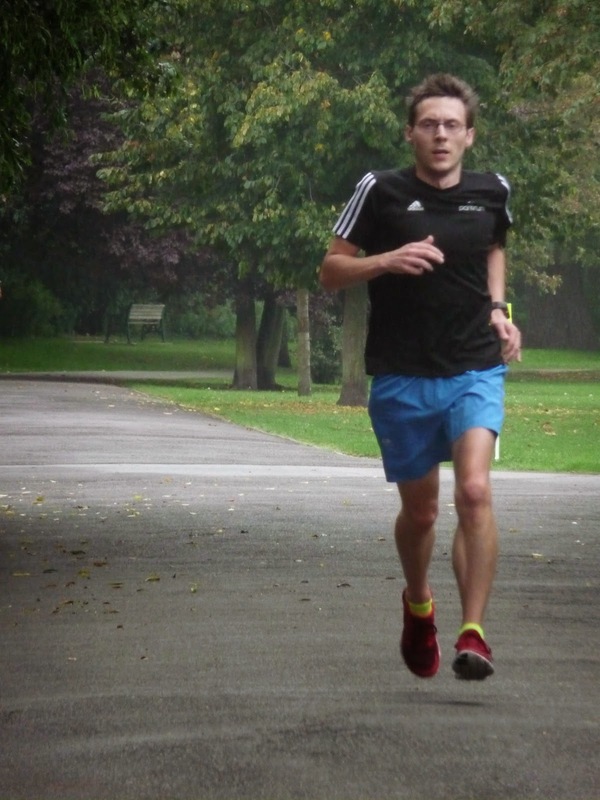 However this was sorted by the tech team swiftly and all was well again in parkrun world. 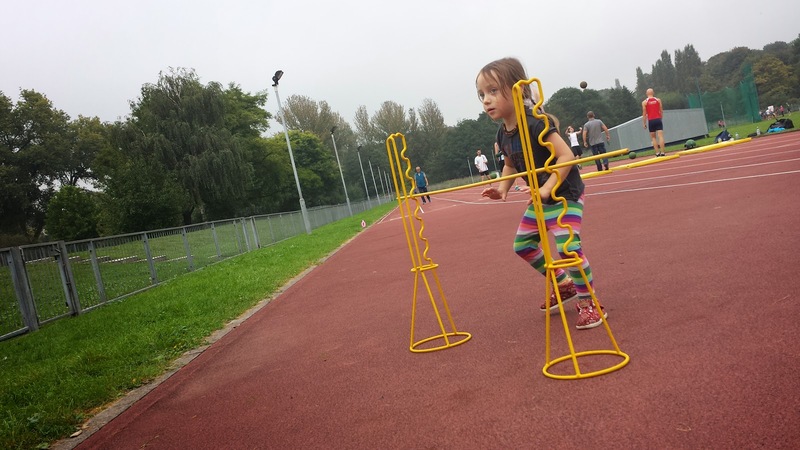 During the results processing session, Matilda was out on the Dartford Harriers track practising her hurdling skills (instagram video). It looked like fun. After the run, me and Matilda spent some time on the zip line in the playground and then took some photos. Later in the day we sorted out a new system for transporting the stanchions over to the park (until we get the storage box sorted of course) - more about that next week!